RCNI in Horizon’19 presents you the that have enthralled audiences across the world with their live concerts including performances at the opening ceremony of the FIFA World Cup 2010. Their songs have been very inspirational especially their sports anthem ‘Chak De India’. They have really redefined the music scene in India. They are one of the most powerful musical composers of our nation. They have scored more than 100 films, including _Kurbaan, Rab Ne Bana Di Jodi, Fashion, Band Baaja Baaraat, Aaja Nachle, and Heroine and the list is endless. They are none other than the most starry and respectable singers and composers of Bollywood Salim – Sulaiman. 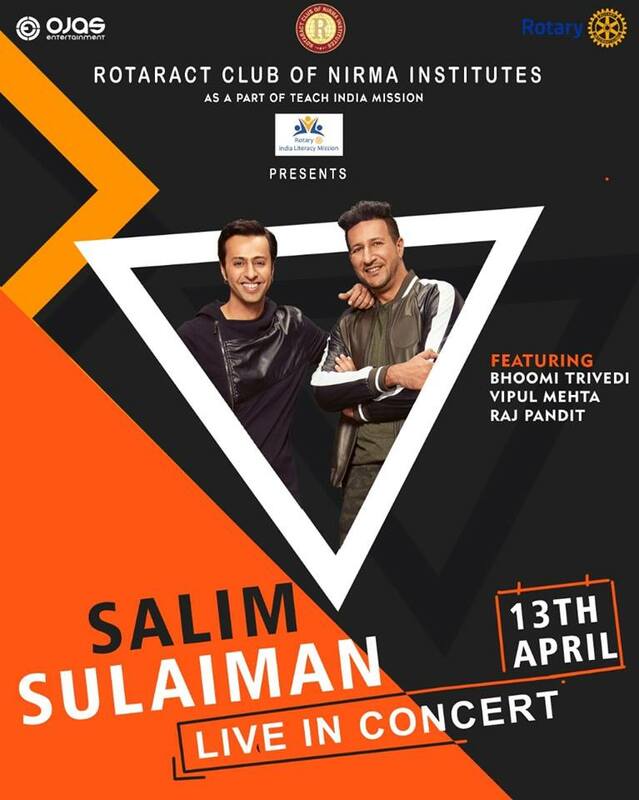 Get ready to witness the duo and be mesmerised by their soulful compositions on 13th April, 2019. See them perform at our live-in fundraising concert, organized under the social initiative, Rotary’s Teach India Mission.